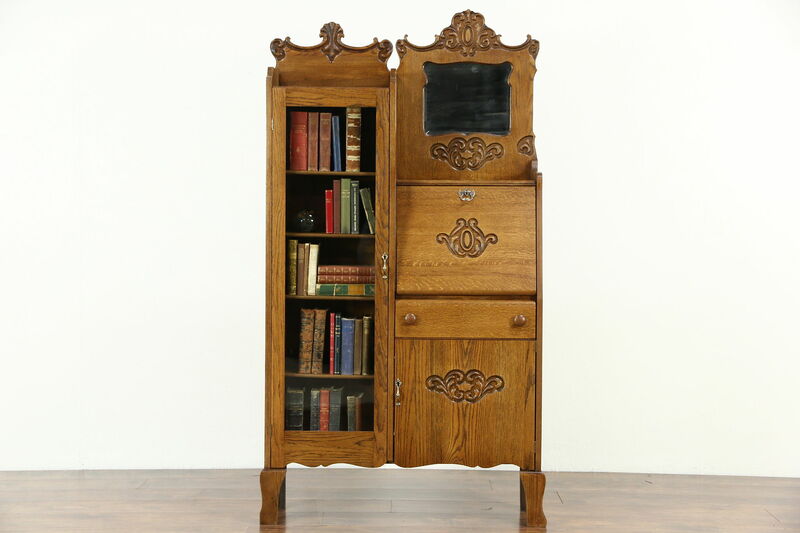 A solid oak combination secretary desk and bookcase dates from the very early 1900's. American made antique furniture, the restored finish is in excellent condition. The original shaped and beveled mirror has a little "smoke" to show its age. A key operates locks in all three doors. The desktop drops open, revealing tiny cubicles for papers. Bookshelves are adjustable, the door has original wavy glass. Measurements are 36" wide, 11" deep and 67" tall.